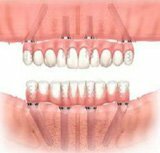 Dr.Ed Monroe is at the very forefront of modern implant dentistry with technologies like the All on Four- Implant Retained Bridge. Decades of dental problems can be corrected in just one day. If you present us with a challenging case, we won’t give you the standard excuse: “Sorry, there’s nothing we can do.” Dr Ed and his team have advanced technology and training to find a solution for just for you. 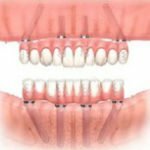 Teeth in a Day does really mean you can replace your missing, decaying an broken teeth with a full dental bridge supported by only four dental implants. 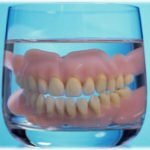 Compare the difference between having Dentures versus All On Four- Implant Retained Bridge. Limits the taste of food. Both of our LaSalle, IL and Princeton, IL dental offices are providing patients all over the Illinois Valley with comprehensive dentistry. Please call us today to schedule your exam and implant consultation!